Line Dancing Lessons at Seniors Center Begin September 5! Home » Community Events » Line Dancing Lessons at Seniors Center Begin September 5! 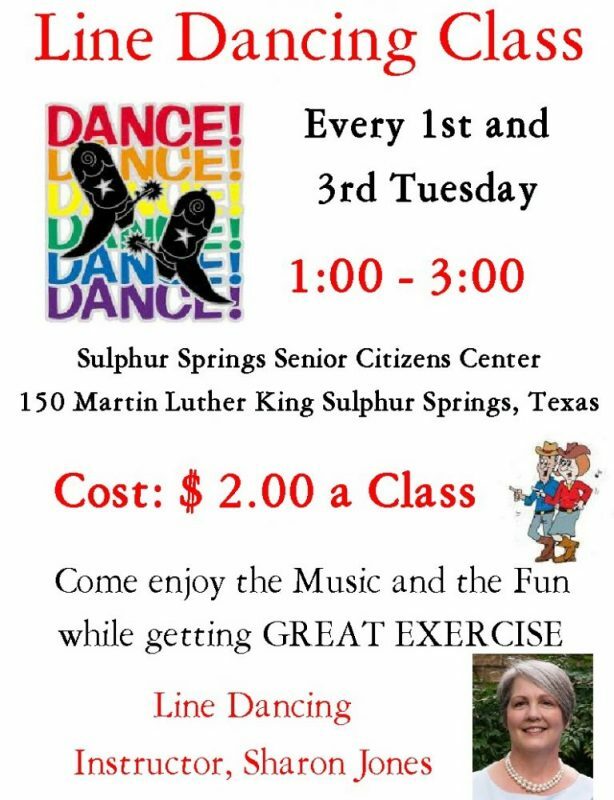 Karon Weatherman, Director of the Sulphur Springs Seniors Center, encourages you to take advantage of this fun and healthy way to get exercise! Men and women are welcome to take the class. Sharon Jones is a great teacher, and she will travel to Sulphur Springs for a class of at least a half dozen regular students. If you’ve been thinking about joining a class, this one may be perfect for you. Contact Karon at 903-885-1661 or come to the class held at 150 MLK Drive in Sulphur Springs.